← Pinhole iPhone app launched — for April Fools Day! This was a silly idea, based on the “FRIST!!!11! !1one!” sort of comments on woot.com and geekologie.com. 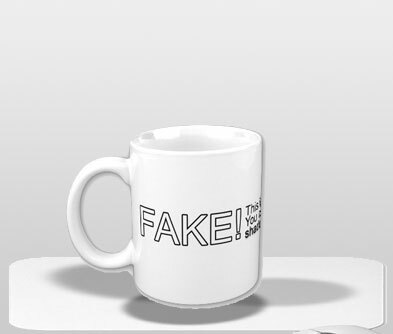 If you set the “FAKE” coffee mug on the mousepad, everyone will be able to tell it’s fake…because the shadows are all wrong. It kinda looks like the scene from the movie Never Back Down…okay, I’ll stop. You get the idea.